You are welcome to come back anytime to my Coaching blog, subscribe on my website or "follow me" at the above link to receive it via direct email to you. I hope you'll join me! This weekend for Christians around the world is a difficult conundrum emotionally, mentally and spiritually for us to get our heads and hearts around. How do we think deeply about the sacrifice of Christ on the cross, the enormity of the grace and love it required and the level of pain of the crucifixion and the reality of impact of Good Friday on us eternally. We turn around after a couple of days and experience the explosion of beauty and LIFE and eternity of Christ's resurrection on Easter Sunday! Wow. Yesterday, as I did my cherished weekly Grandson-sitting for our 3 little grandsons and while our 2 youngest were napping our oldest grandson and I took a Costco box and under his direction it was "re-created" to be a Dodge Ram "pickup" even and including the pickup bed and the logo! As we worked the project along I reminded him on numerous occasions that we were having LOTS of fun on this project but it wouldn't end up "perfect." The "perfect" image of an end result for a 5 year old doesn't always occur, right? Well, not JUST exactly like they think in their heads ... and that can be frustrating. Ever felt that way? I imagine you have. I have. 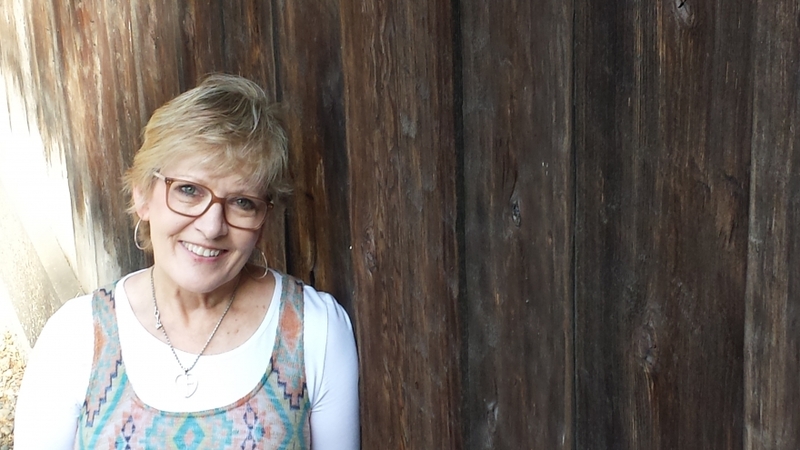 As I work with women both in coaching and in ministry, as I live out my own life-adventure and study His Word and as I watch our kids and now grand- kids journey forward ... I truly think this is part of the human condition. We tend to expect that what ever WE think is the BEST plan (and all the bells and whistles) to play out JUST the way WE imagine it. Most often we have in mind is what we'd like to happen ... just because that is what we want ... not because it surrenders to what the Lord has for our lives or that we have developed the habits that will eventually support it (whatever that "it" is). One of the books I have read this year and highly recommend is H3 Leadership; Be Humble. Stay Hungry. Always Hustle. The book review by Rob Folkenberg says "I love good habits. I hate bad ones. Habits define you. They create who you are and how you live out each day. They shape how you respond in crises. They build or destroy character. As Sean Covey states, 'We become what we repeatedly do'. So it is with leadership habits. Sometimes our leadership styles develop without deliberate action. But Brad Lomenick (AUTHOR) suggests that by cultivating good leadership habits, we can greatly enhance our effectiveness. His book H3 Leadership is a habit handbook. Lomenick writes in the intro­duction, “Leadership is more than hard work; it is habitual work. It is worked out every day in the tasks we complete, the ways we approach our work, and the rhythms we nurture in our lives. It hangs on the hooks of the patterns we create, not just the success we may stumble upon." So in an effort to create "Beauty" in my days/ events /and situations which equates to perfection, does this mean I hold my definition of "beauty" loosely? Do I have grace when things don't work out just as planned ( IE a Dodge Ram pickup out of a Costco box not looking like the REAL deal? :) Does working toward perhaps the near-beautiful and the near-perfect moments in life take developing good habits with one of those being willing to give that illusive GRACE when things don't match my expectation? I Plan. I Prepare. I Pray. I Imagine. I Study. I Set Goals. I ____. And then I am disappointed that I didn't see what I wanted / planned / hoped for / dreamed / worked toward ... happen. Then as the human conditions goes ... I blame God, right? Notice the common thread above? "I"
Apparently, that human condition called "sin" which I personally battle not to mention the enemy's temptations) has at LEAST in part the fact that "I" am in the middle of the equation. Perhaps I'm ignoring that GOD needs to be on the throne of my heart instead of me. It is so subtle. My struggle with my own sin nature and against the enemy's temptations to put my agenda over the Lords' plan is a reminder that HE is sovereign over my life and all of its parts and pieces and that I need to TRUST Him and keep moving forward! Do I get to know all about that adventure BEFORE it happens? Nope! I don't get to plan it "perfectly", organize it specifically, arrange it just-so, etc. We get to "walk by faith and not by sight!" What could be more of an adventure? We believe in Good Friday and Easter and then we sometimes live like ... we don't. I need to discipline my thoughts, actions, words and heart to TRUST that He has gone before me. He died for me. He rose from the grave for me. And I can and need to TRUST Him on this side of Heaven whether or not life goes perfectly as I had planned. (Jeremiah 29:11) It is HIS plan for my life that plays out every day and I need to hold "my plans" loosely with an open-hand policy ever to be ready to swivel on a dime and make the adjustments to my day that HE calls out! I also need to put into place habits (IE spiritual disciplines) which exhibit my desire to live out my life to the best of my ability to use my gifts and talents for His glory. Some times we feel like we ARE following Him and we plant seeds and water, water, water, fertilize, water ... weed. And ... WAIT for an eternity to see the "fruit"! We wonder if we heard the Lord correctly as we think we are following Him. We tire of the waiting process. We are tempted to til up the whole ground again and start over because what we planted is not perfectly coming up as the wee plants-of-life which we expected. "But Lord ... it isn't 'Beautiful!" But WAIT! Don't touch that rake! Leave the hoe alone! No shoveling! WAIT! Remember Grace! Be humble before Him! Look for the beauty by His definition and the perfect moments tucked in! Psalm 27:14 Wait on the LORD. Be courageous, and he will strengthen your heart. Wait on the LORD! Yesterday ... I saw the fruit of labor. A "perfect moment" ... created by God Himself. I witnessed the fruit of the labor of the many hours of love, teaching and the training our son and daughter-in-law have poured into their children. They are joined with the encouragement, prayers and cheering-on-in-the-faith of us 2 sets of grandparents, Great Grandparents, aunts and uncles, cousins, dear Christian friends and of their church and of the ministry of the Christian school which our 5 year old grandson attends. It took my breath away. A perfect, beautiful, grace-filled moment! 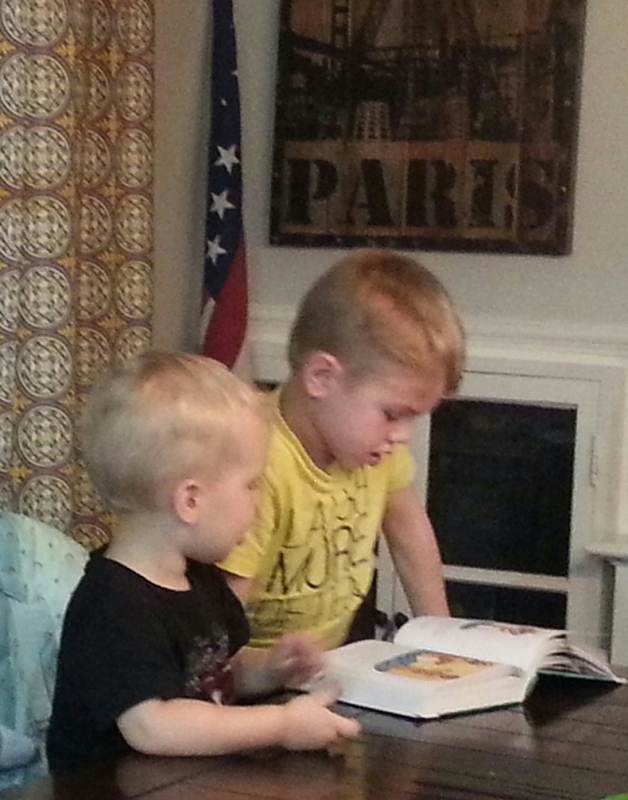 I watched as our oldest 2 grandsons opened up their children's Bible in front of them on the dining room table. Our oldest grandson eagerly and carefully reading the WORD of God to his younger brother who was on the literal edge of his seat. I heard them recounting what their parents had read to them ... the Easter story ... with wonder in their eyes! Oh my ... the fruit was dripping from the tree of LIFE, delicious, yummy and abundant. All the planting, watering, weeding, nourishing and waiting in all the years, in all the ways .... can't replace those perfect moments of wonder and Beauty. Humanly we plant, water, nourish, weed and WAIT ... and ultimately we know the fruit is dependent on His timing and the Grace of God working in and through lives. WOW. We are called to DO what the Holy Spirit calls us to DO in the situation ... but the beauty, the grace and the perfect moments are delivered by HIM in His timing and in His ways. Oh ... when the fruit comes ... and He promises it will and it DOES ... it has MUCH more BEAUTY tucked in it than we expect. Plus, it is FULL of grace for all the moments, good and bad or big and small that accompany people, dreams and goals. Easter is the promise of eternal LIFE because of the death and resurrection of Jesus! It is His free gift to us. And along with it, as we live out our lives in love and obedience to Him, we encounter true BEAUTY and all the grace we need to TRUST Him when we cannot understand or control our past, present or future. The perfect moments of mysterious delight come like a kiss from Heaven. Wow. It turns out that our lives and our plans don't have to be "perfect" .... just like that Dodger Ram truck our grandson and I made out a Costco box, tape, string, chop sticks and paper plates. It is "cooler" than we could've imagined. May we REST in His mighty hands ... rest against His mighty hand of love ... nail-scarred and all. We can trust Him to deliver a plethora of beauty, grace and perfect moments in His perfect time. Let's keep LOOKING for them!